The Moon is in Aries until 11:25 AM. 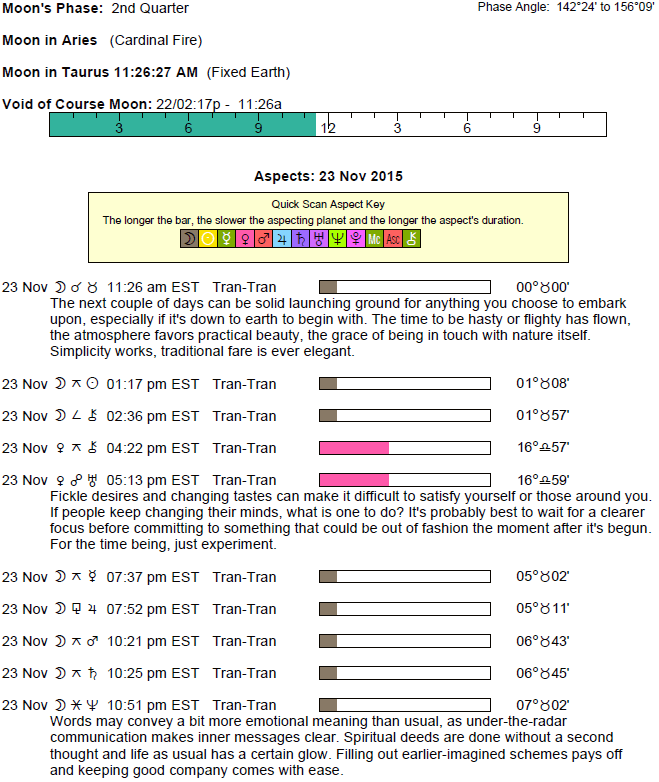 The Moon is void until 11:25 AM (since 2:15 PM yesterday). 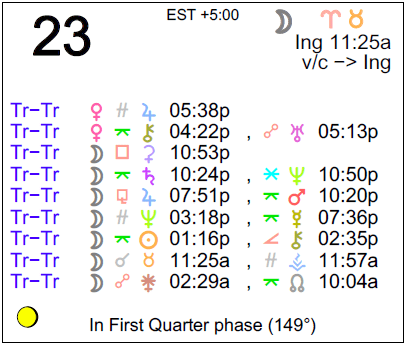 The Moon is in Taurus from 11:25 AM forward (until Wednesday, November 25th, at 12:15 PM). The Sun spends its first full day in Sagittarius (the Sun transits Sagittarius from November 22-December 21). 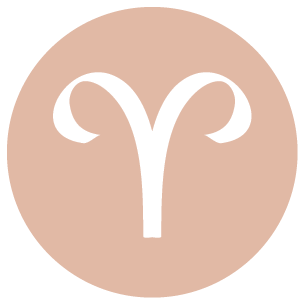 There can be some emotional impulsiveness to deal with today, dear Aries, and while this sometimes does work in your favor, it has mixed results if you are reacting rather than acting from your heart. Relationships can be touch and go. Past mistakes or wrongs can figure strongly in your mind. Your need for freedom and independence these days is so strong, it may be provoking some tension right now. Find ways to seek more of what you want from your life while also taking care of the feelings of people you hold dear. Later today, you are likely to be feeling pleasantly effective, competent, and ambitious. You are determined, thinking in the long term, and more tuned in to important, practical details. 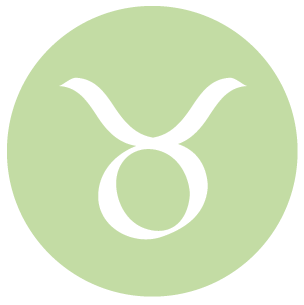 You can feel on edge if anyone seems to be trying to pin you down or if you feel caged in, dear Taurus. Avoid throwing something, or someone, away in a fit of temper, as this feeling is very likely to blow over. Instead, think up new ways to feel free, but to meet your responsibilities as well. People may seem to be quick on the trigger and emotionally reactive. This energy can be used constructively if you need a push to take action on an important matter. Tonight, feelings tend to settle down a little and good energy is with you for tackling a project. Expressing patience and tolerance is important now now for maximum benefit. Productivity is excellent right now. You may not know whether you want to be close to someone or prefer some space today, dear Gemini. Feelings can be up and down. Alternatively, friends and lovers may be unreliable or flighty now. You could be feeling pressured or sense that someone wants a little more from you than you’re comfortable giving. Expect the unexpected today and avoid making quick decisions about matters that require more thought and consideration. If you’re feeling caged in, look for non-disruptive ways to enjoy a sense of being free and independent. Later today, there is steadier energy with you, as well as a feeling that you need more stability. There can be an agreement that comforts you now. The day’s energies can stir up restlessness, dear Cancer, particularly if you feel restricted. The need for some space and leeway is prominent in relationships, particularly with family, but also in relationships on practically all levels, but it’s important to take this freedom in a mature way for best results. 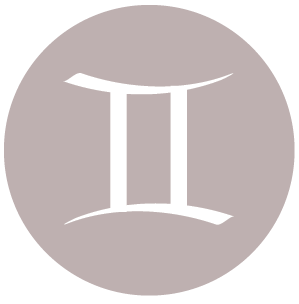 Displays and reactions are real possibilities as Venus and Uranus face off, pulling us in two entirely different ways – one towards comfort and partnering, and the other towards independence and freedom of expression. If someone is trying to get a commitment or definite answer out of you, and you don’t totally feel certain about it, defer it to a better time. Later today, emotions tend to settle and practical priorities tend to take precedence. You can be very productive now. With Venus and Uranus at a face-off today, dear Leo, it’s better to avoid jumping to conclusions or making dramatic stands until you make better sense out of feelings that emerge now. There is some volatility to the day, as well as a tendency for you to clash with others when it comes to opinions and ideas, or for plans to go awry. Transportation and communication channels may not be reliable right now. You may be excited to start a new project or ready to throw an old one out, but watch that this is not only a whim of the moment. In other words, it’s fine to explore feelings that come on suddenly, but it may be best to wait when it comes to acting upon them. Tonight is strong for tuning in to practical goals and priorities. You may be feeling considerably more settled and goal-oriented. 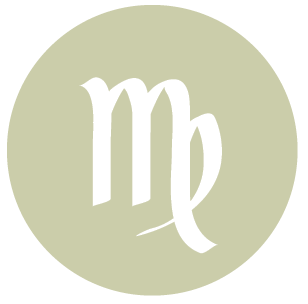 The desire for beautiful things or certain possessions that you’ve been considering is stronger now with Venus in your solar second house these days, dear Virgo. Today, you might find someone opposes you or news comes in that forces you to change your goals. Alternatively, some of you could make an impulsive purchase or decision. However, the best way to use the energy of the day constructively is to find a new way to handle a financial matter. There could also be a surprise in the intimacy department. The trick is to think outside of the box now, as anything too ordinary or mundane will only serve to frustrate now. Later today, you’re more likely to think before acting, and less prone to falling for a whim of the moment. It’s a good time to organize, particularly around the home. 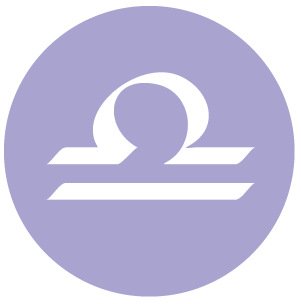 This is a day when relationships require more spontaneity or freedom, dear Libra, but there could be some tensions stirred up. A close friend or partner could be reactive or rebellious, or might introduce a surprise into your life today. A sense of moving forward could emerge out of a bit of chaos. There can be an unusual attraction or desire that comes on suddenly. There is a practical and patient energy to the later part of the day, and you may be in the position to take the lead in an important matter. You are acting and communicating with a little more authority, and you could find yourself in the position to guide or teach. 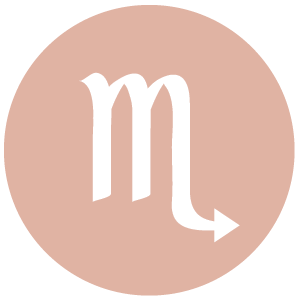 People may not be especially reliable in your life today, dear Scorpio, and something may occur that has you questioning a relationship or your feelings about a matter. Changes in schedule might also throw you off now. 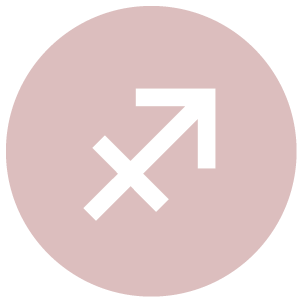 When Uranus is strong and challenging as it is today, changes and unpredictability can be frustrating, but they can also set you on a new train of thought or a new path that breaks you out of a rut. Later today, you crave some method after the madness, and it’s a great time to get some things done, particularly if it’s about a behind the scenes project or if you have the chance to work without distractions. 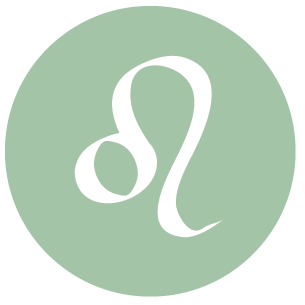 Uranus is strong and challenging today, dear Sagittarius, and the status quo can be interrupted, dear Sagittarius, particularly on social or creative levels. There can be some unreliability to deal with, as well as distractions or changes of heart, but feelings that emerge today may be a symptom of the need for change. Identify which areas of your life have become too routine or predictable, and that are in need of an update or adjustment. Avoid too-quick decisions based on whims of the moment. Later today, emotions settle and you crave some order. This is a very practical time when you can have a strong desire to produce. Others might want your advice now. 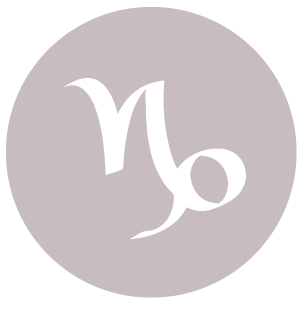 Routine or staid elements of your life are harder today, dear Capricorn. There is part of you that is itching for a change of pace, but if you don’t recognize this within you, you might end up stirring up conflict without really scratching the surface of your discontent. Others’ mood swings or changes in plans can be something you’re managing today as well. Try to identify what’s making you feel restless and make a small change, as this can be empowering. You may find it quite liberating to put something behind you or to mix up your routine in creative ways. Later today, moods stabilize considerably and you’re likely to feel very much in charge. This is a time when you can work tirelessly once you find a channel for your considerable energy. 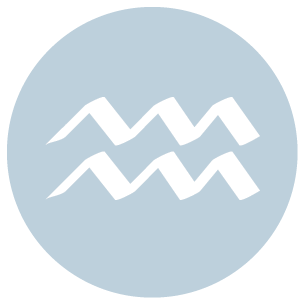 It can be quite difficult to focus today, dear Aquarius, as your attention span may be short, and the same might be said of your patience. News can come in or there may be a change of plans that sets you on a new train of thought or even a new path. Prioritize early in the day so that you can be better prepared for a hectic pace, but also aim to keep an open mind. Sometimes a little change can bring in fresh air and point you in the direction of new interests. Spending time with family or in familiar, safe settings as the day progresses is likely to be especially comforting. There is also very good energy for bringing a little more order and clarity into your life later today. 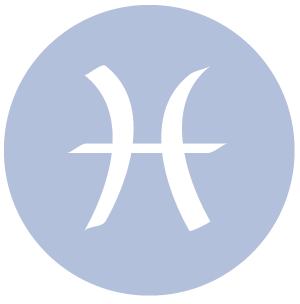 There can be disruptions today that hint at the need to throw away old attitudes and habits, dear Pisces, that have been limiting your growth. You might even decide to get rid of material things or clutter in your environment in order to help the process along. You are a little more willing to take some personal and creative risks, but when it comes to money today, you might be better off keeping a lid on impulsive moves. Whims and sudden desires may be the symptom of a need for change in some area of your life. Avoid quick-fix solutions. Relationships might require extra understanding or people in your life need a bit of space today. As the day progresses, good energy is with you for focusing on a project that’s important to you. 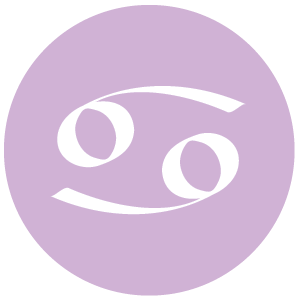 If Your Birthday is November 23rd, If Today is Your Birthday full horoscope here. 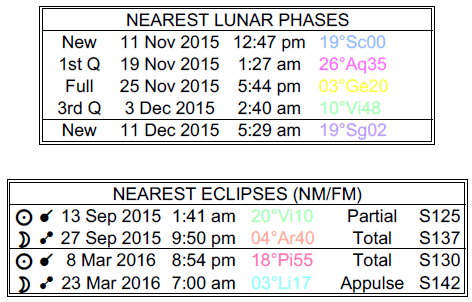 Moon 05° Capricorn 54' 04"
Mercury 09° Aries 37' 23"
Venus 04° Aries 32' 14"